Akademikernes A-kasse is one of Denmark’s largest “A-kasser” with more than 245,000 members and 220 employees. Akademikernes A-kasse’s mission is to help its many members find the right job through focused efforts and a diverse offering of services and assistance. 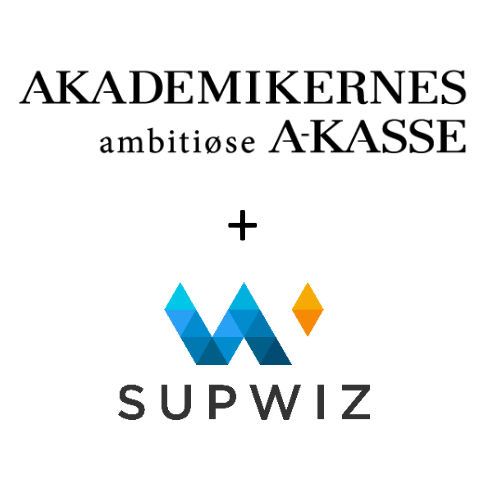 Akademikernes A-kasse also offers unemployment benefits. “We see a great potential in this technology and we look forward to collaborating with SupWiz on providing better services for our members. Our main reason for selecting SupWiz is their proven ability to understand, decode and translate complicated information and processes”.